These things come and go, and they don't do any damage because once the biocontrol bugs get going, they are fresh meat for them. What are the topics and how do I register? What’s Up with my Avocado Tree? So a question comes in about a problem with a backyard avocado tree. And it would seem the first question would be about the overgrowth happening at the base of the trunk. This a ‘Fuerte' avocado that is grafted on a seedling avocado rootstock. It's not unusual to see an overgrowth, but this is the most extreme example I have ever seen. So it's basically an incompatibility between the graft and the rootstock. In many cases this is no big problem and trees can live a long time, as this tree has. 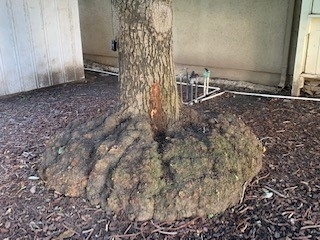 But the homeowner wasn't asking about the unusual growth at the base, but the canker that had appeared in the center of the trunk near the base. This has the classic white sugar exudate that occurs with a wound of any kind in avocado. The sugary sap that contains the unusual mannoheptulose 7-carbon sugar characteristic of the laurel family to which avocado belongs will ooze out of the wound and result in a white crust (Read more about this sugar at: https://www.sciencedirect.com/science/article/pii/S0254629911001372 ). Anyway, so this backyard tree is in an area that is getting 10 minutes of lawn watering a day. Lawns and avocados don't get along. And avocados don't get along with short, shallow irrigation that result in salt accumulating in the root zone. Which is what has happened here. 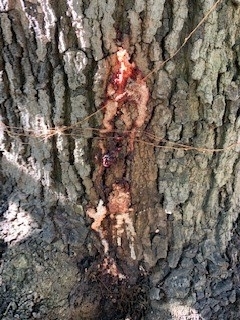 Salt stress and the result is an infection of bacterial canker (https://ucanr.edu/blogs/blogcore/postdetail.cfm?postnum=7920 ). It's not fatal in an old tree like this, but it can predispose the tree to root rot. And that's not something that is easy to treat in backyard settings. And maybe a lot of other problems like Shot Hole Borer-Fusarium Dieback in Avocado and other California tree species and maybe Huanglongbing in citrus. 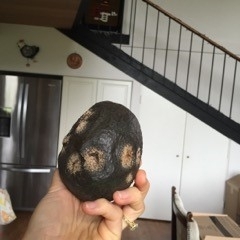 GAINESVILLE, Fla. — Remote imaging can effectively detect a pathogen that endangers the $100 million-a-year Florida avocado industry – even before the trees show symptoms — University of Florida scientists say. 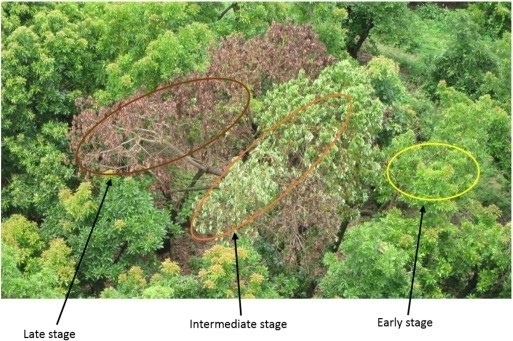 Yiannis Ampatzidis, an assistant professor of agricultural and biological engineering at the UF Institute of Food and Agricultural Sciences, led recently published research that shows that multispectral cameras can detect laurel wilt on avocado trees. The approach costs less than manually trying to detect the laurel wilt pathogen, Ampatzidis said, though UF/IFAS researchers don't know yet the cost differential. Avocados provide an estimated $100 million-a-year economic benefit to the state's economy, according to UF/IFAS research. California grows most of the nation's avocados, but Florida is the second-leading producer. About 95 percent of Florida' avocados are grown in South Florida, particularly in Miami-Dade County. 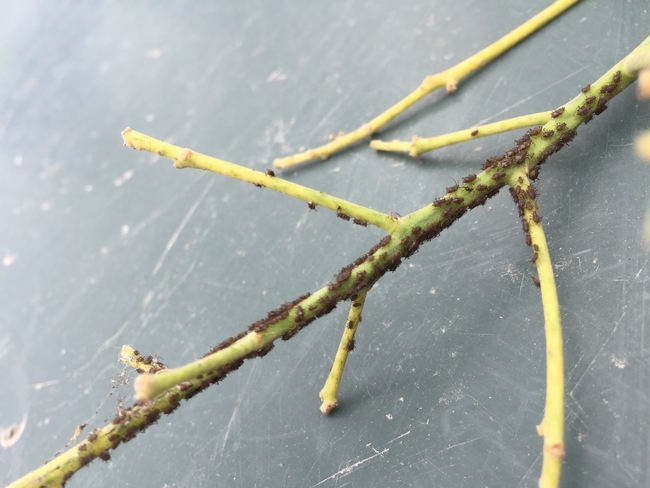 So UF/IFAS researchers first infected avocado trees with laurel wilt at the UF/IFAS Tropical Research and Education Center in Homestead, Florida. 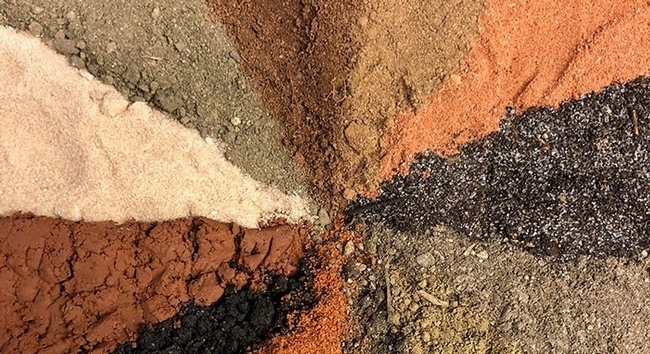 The mission of the University of Florida Institute of Food and Agricultural Sciences is to develop knowledge relevant to agricultural, human and natural resources and to make that knowledge available to sustain and enhance the quality of human life. With more than a dozen research facilities, 67 county Extension offices, and award-winning students and faculty in the UF College of Agricultural and Life Sciences, UF/IFAS works to bring science-based solutions to the state's agricultural and natural resources industries, and all Florida residents. Visit the UF/IFAS web site at ifas.ufl.edu and follow us on social media at @UF_IFAS.